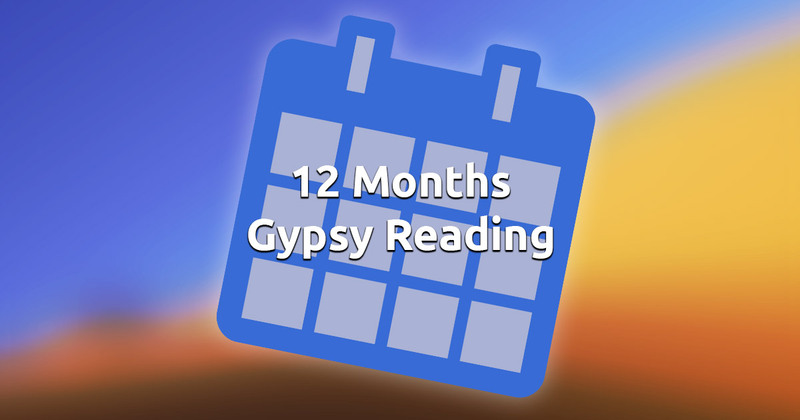 The 12 Months Gypsy spread is used to foretell what's in lies ahead of you in the coming months. It is not mandatory to use it only at the start of the year - it can be used at all times if you want to know what you can expect from the future. Though, keep in mind that, as you go through life, your decisions change and they always affects the future. A reading that you took previously might be very different, or you might even perceive it differently. This spread only shows you the most probable developments of your life, only if your remain the same and change nothing. If you're feeling uncomfortable about what the Gypsy cards foretell, you should definitely try to do something about the suggested problems. On the other hand, if you're happy with the cards' sayings, then you shouldn't give too much thought on changing your lifestyle. Be calm and relaxed, focus your intuition and think of the coming months. When you're ready select 12 cards to start your reading.